I’m going to keep this post short because Stu has a great post from the last time he went to Xiaozi Shan with all the practicalities and a handy map at the bottom. 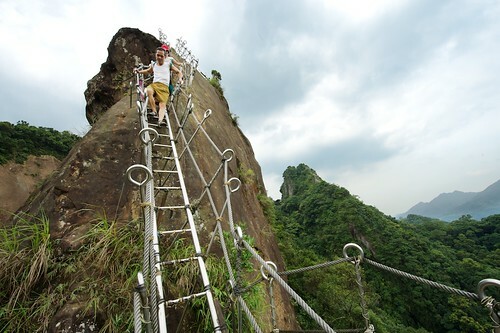 Stu descending from the peak of Xiaozi Shan (孝子山) in Pingxi (平溪), Taiwan. 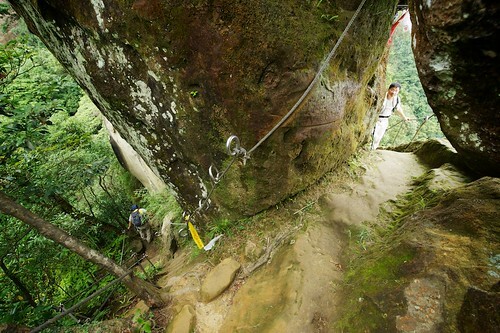 A look down at the rock faced cliffs of Xiaozi Shan (孝子山) near Pingxi, Taiwan. 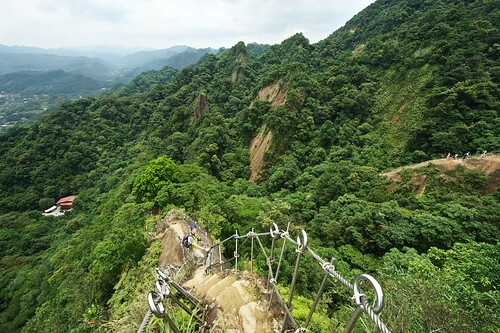 This is the "intersection" of trails at the foot of Xiaozi Shan. There are 4 different trail heads that lead to 4 different peaks, each with a stunning view of the surrounding mountains and the valley below. 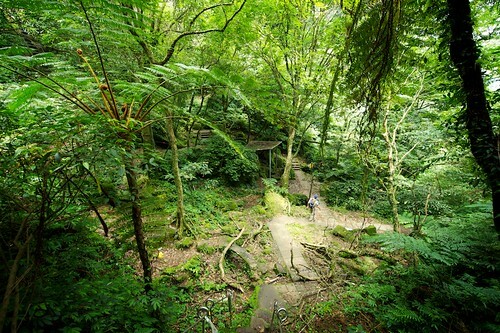 An intersection of trails under Xiaozi Shan. This mountain area seemed to have more religious statues and places to worship than many other areas that I've been to. Most are Buddhist or Daoist (or a combination of the two). 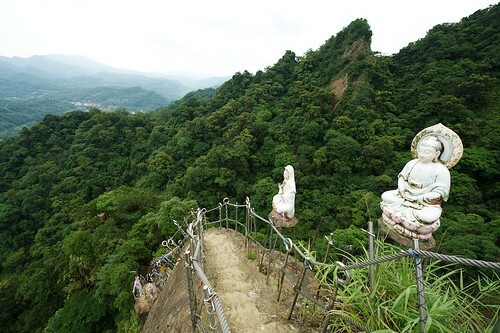 Here, a statue of the Buddha and Matzu greet hikers to the peak of Xiaozi Shan. 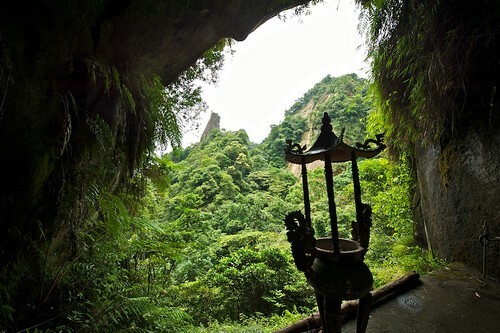 A Daoist incense burner hides in a cave on Xiaozi Shan mountain, near Pingxi, Taiwan. 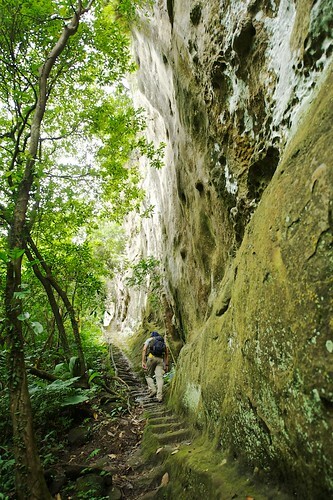 Hiking the trails near Pingxi, Taiwan. 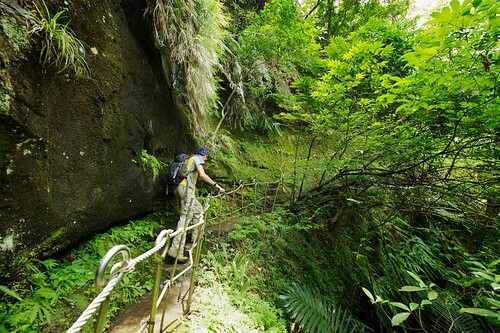 Stu climbs a trail in one of the lush forests of Taiwan. 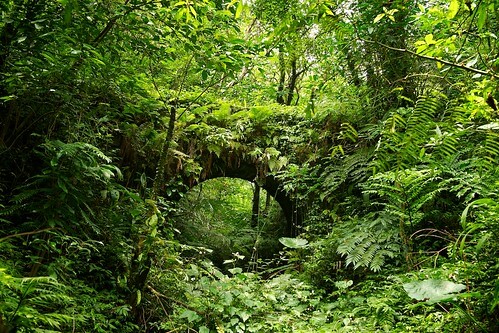 A old bridges lies crumbling as the jungle reclaims it near Pingxi, Taiwan. This looks great- and quite magical! Can you get to this place easily from the train stop at Pingxi, or do you have to have a car/scooter? This place is easy to get to either on the train or the bus #16 from near the Muzha MRT stop. Have a look at this map, and you should be able to find the entrance. It’s just east of the town’s “center” on route 106. Look for a small public bathroom and some stirs leading up and around a waterfall. Of course you can come with us the next time around. We usually set these hikes up in a private discussion on Facebook, so I’ll be sure to invite you the next time! Hi Bernard. I don’t think finding your way will be too difficult. That said, it is possible to get lost. Just remember that if you’re going up hill, you’re going away from the main road, and if you’re going down hill, you going towards it. The hikes are all pretty strenuous, as many of them go up and down VERY steep trails. Hi Neil Thank’s to your superb advice we did the trip and climbed all but one of the peaks (the big one was closed) and although it was as you said pretty strenuous we had a fantastic day out. Now I’m looking through your site for my next weekend trip I am at the moment in Hsin Chu do you have any suggestions ? Hi Bernard. Glad you hear you liked it! If you looking for something near Hsinchu, have a look at my new website called Taiwan Adventures. 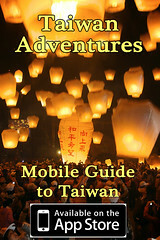 It’s an online guide book that hundreds of things to do all over Taiwan! Here’s the section on Hsinchu. I would be setting off early from Banqiao on the train. 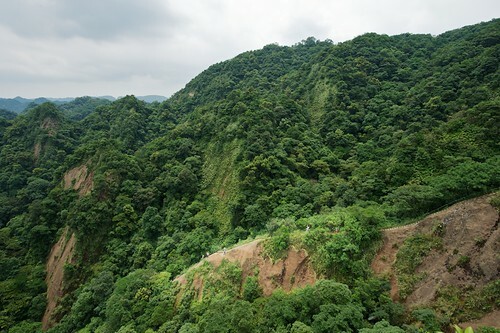 Is it possible to hike all of these in one day: Xiaozi Shan (孝子山), Cimushan (慈母山), Cimufeng (慈母), and Zhongyangshan (中央山), Stinkyhead (臭頭山)? Looking at a map, the last two are the farthest away, right? But are they much farther? I wouldn’t want to set out for them if I didn’t think I could reach them and get back in time? I’m not familiar with the area and am trying to understand the hike well before I go. Also, what kind of markers are you looking for, clearly marked signs or just tags, like I saw in some pictures? I just don’t want to get lost or find myself out after dark! Thanks for the info! Didn’t everyone already answer all of these questions for you on Facebook? I was just asking a few additional questions concerning the amount of time it would take if I planned to hike to each place or if someone who knows the hike well would suggest not attempting the last one or two points (not because of difficulty but time…on a map it looks much farther than the first 3 points). I wasn’t clear about that. And you said above in a reply that it’s possible to get lost…that made me nervous since I’m a mom setting out alone with two kids.